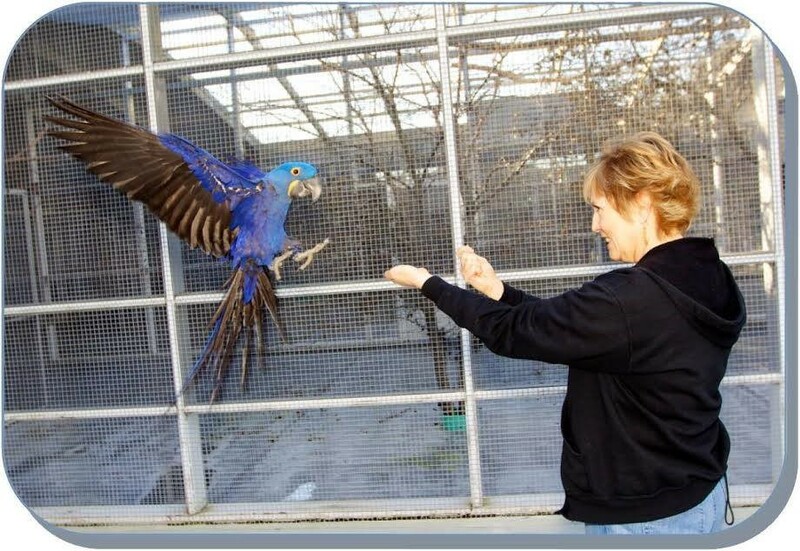 Meet CPBT-KA (Certified Professional Bird Trainer - Knowledge Assessed) Debbie Foster. Debbie's business is called Parrot Ps and Qs which helps parrots and people succeed in the home through education and training. When asked what her favorite bird species to work with is, she replied "That's a hard one! I like LOTS of parrot species, including macaws, cockatoos and amazons, and I'm also partial to a particular crow I've worked with." Debbie was inspired to take the test because "It was a logical step and I was up for a challenge. It has provided more credibility. Those initials after your name make an impression." If you are thinking about certified, Debbie's advice is simply "Do it!" To find out more about setting these types of standards within your facility or becoming certified contact the IATCB board by visiting the website! LLA Professional is designed to be a first course in behavior analysis for veterinarians, animal trainers, behavior consultants, and other animal professionals. The principles and procedures of behavior analysis are general in nature, that is, they apply to all species and situations. Thus, LLA Professional provides a robust, general foundation to accurately assess and resolve behavior problems, and more effectively support your behavior work with clients and patients. 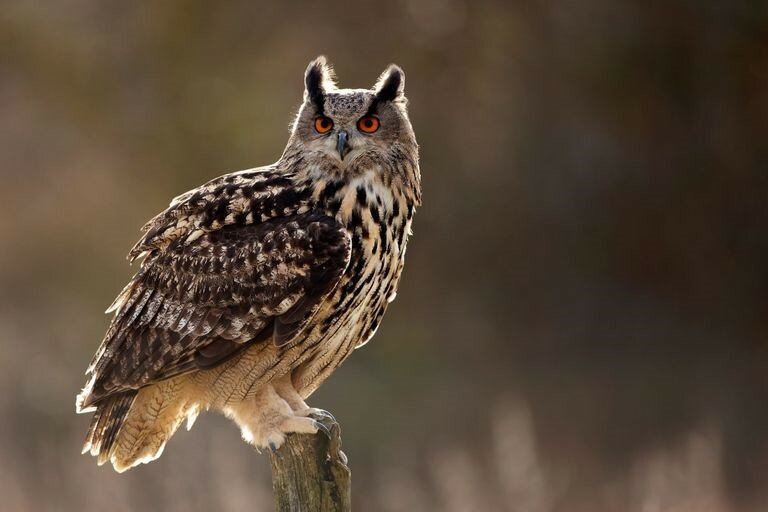 Eagle owls are the largest owls in the world, and they are best known for their large, striking, orange eyes. They are often called the Old World version of America's widely distributed great horned owl. Eagle owls are known for their loud calls. They are heard far more than they are seen. They use their various hoots and clucks to let others know they have entered or are entering certain territories. Different hoots represent different moods and are easily recognizable between each member of the species. Also, eagle owls are able to decipher the size and distance of intruders based on the intensity of their call. They also use a low guttural hoot to attract mates. Eagle owls are at the top of their food chain. They are particularly useful in keeping the number of rodents down in their various ecosystems. The removal of this species can cause the rodent population in a given area to grow significantly. Therefore, they may be a keystone predator. Eagle owls are considered rare but not yet threatened. Their numbers are steadily declining due to habitat loss from human encroachment. Conservation Actions Underway : CITES Appendix II. Bern Convention Appendix II. EU Birds Directive Annex I. The species is protected in most countries within its range. Extensive reintroduction programs, especially in Germany, France, Belgium, Switzerland and Scandinavia aided by protection have enabled recovery in parts of Europe since the 1970s. The species is also likely to have benefited from an increased food supply created by the proliferation of refuse tips and large clear fell areas, which have increased prey species populations. Conservation Actions Proposed: Nesting territories, and potential territories, should be protected from development and from extensive logging. Awareness should be raised of the species’ susceptibility to disturbance, particularly with the public, birdwatchers and photographers (Tucker and Heath 1994). Enforcement of protection should be strengthened.